Inion is a nation led by Arch Iteo on the continent of Asia. Inion's government is a Absolute Monarchy with very conservative social policies. Economically, Inion favors extremely right wing policies. The official currency of Inion is the Bitcoin. At 410 days old, Inion is an ancient nation. Inion has a population of 2,145,942 and a land area of 15,070.00 sq. miles. This gives it a national average population density of 142.40. Pollution in the nation is almost non-existent. The citizens' faith in the government is completely depleted with an approval rating of 0%. 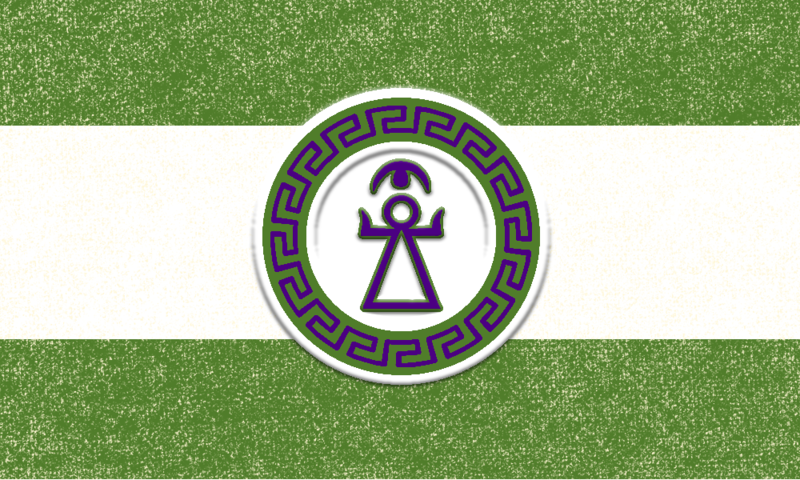 04/19 06:58 pm - Inion applied to join the alliance Egyptian Empire. 04/19 06:58 pm - Inion left the alliance SPQR. 04/05 05:29 pm - founded a new city, more city. 03/26 01:26 pm - Inion changed their Color Trade Bloc from Pink to Maroon. 03/24 06:34 pm - Inion applied to join the alliance SPQR. 03/24 06:33 pm - Inion left the alliance Rose. 02/17 02:35 am - Inion changed their Color Trade Bloc from Gray to Pink. 02/07 09:55 am - Inion had war declared by Sithar for the reason of "Alfred small pp". 02/07 09:55 am - Inion had war declared by Gengaria for the reason of "KT counters retards". 02/07 09:55 am - Inion had war declared by New Pastoria for the reason of "KT Counter". 02/06 02:46 pm - Inion declared war on Anarchy for the reason of "inactive pm for peace". 02/06 02:46 pm - Inion declared war on The Union of East Asia for the reason of "inactive pm for peace". 02/06 02:46 pm - Inion declared war on The Empire for the reason of "inactive pm for peace". 02/06 02:46 pm - Inion declared war on The Covenant for the reason of "inactive pm for peace". 02/04 05:35 pm - Inion changed their Color Trade Bloc from Gray to Pink. 02/03 05:32 pm - Inion declared war on West Tuddenham for the reason of "Inactive raid". 02/03 05:32 pm - Inion declared war on BdizzleNation for the reason of "Inactive raid". 02/03 05:32 pm - Inion declared war on Gyphanistan for the reason of "Inactive raid". 02/03 05:32 pm - Inion declared war on The Gaming Confederation for the reason of "Inactive raid". 02/03 05:31 pm - Inion declared war on Anoxialand for the reason of "Inactive raid". 02/01 02:44 pm - Inion declared war on Antica for the reason of "PM for peace". 02/01 02:44 pm - Inion declared war on Dexidua for the reason of "PM for peace". 02/01 02:44 pm - Inion declared war on Squidland for the reason of "PM for peace". 01/29 09:28 pm - Inion applied to join the alliance Rose. 01/29 09:26 pm - Inion left the alliance Arrgh. 01/26 06:44 am - Inion had war declared by The Italian Legion for the reason of "War!!!!!!". 01/23 11:27 pm - Inion had war declared by Apoyo for the reason of "BRICS Counter". 01/23 08:37 pm - Inion declared war on United States of Swiss Franc for the reason of "PM for peace".